Kangertech is at it again with their mini TOGO. They got that right especially the mini part. If you are used to the large vapes, then this little one will seem like a toy to you. It fits perfectly in your hand or your pocket, but still, performs as well as the huge vapes. Here is a more detailed look into the Kangertech TOGO Mini. The Kanger TOGO Mini measures 3" x 1-11/16" x 7/8", including the drip trip. It is so small that you could conceal it with your closed fist and none would be the wiser. 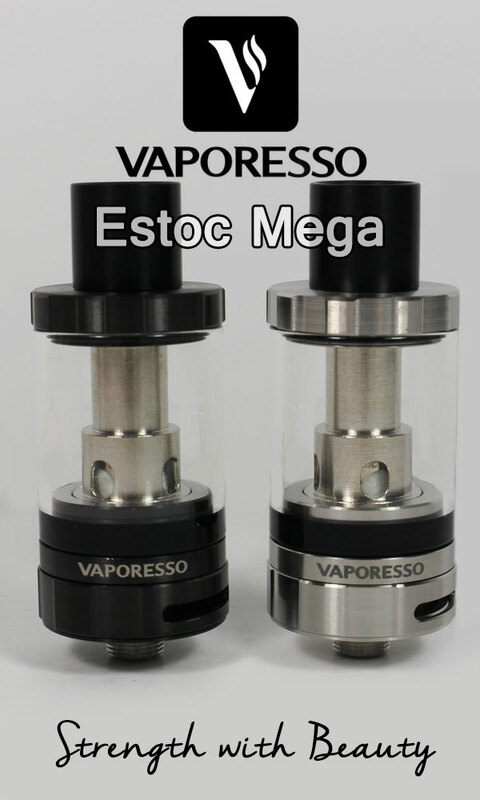 It is a simple vape with one button for easy operation. The built-in battery has 1600mAh capacity. The texture of the exterior part of it is quite rugged, which makes it unique. The colors are cheerful! Orange, red and black! Inside the box, you have your one stainless steel coil (CLOCC NiChrome 1.0ohm), a replacement glass, a USB charger the color of your vape, and of course the Kanger TOGO Mini 2.0. It is quite simple to use, which you get from the singular button. Even so, Kangertech throws in the manual to be sure that newbie users get it right from the get-go. What you notice about the Mini from the first use is that it is a small solid device, built with precision. The tight airflow is adjustable for mouth-to-lung, but you can loosen up to suit the ideal lung hit. You also notice that the coils are different, each designated for either mouth-to-lung vaping or lung hit. Changing them is quite easy, but we would recommend that you switch it off first. On the box, Kangertech says that this mod has a 1600mAh capacity, which means it could last you the entire day unless you are a heavy vaper. But then again, the TOGO Mini is designed with the beginner in mind, and so this capacity is just ideal. There is a little confusion here about the battery capacity when you go to the company's site, but all that is important is that the battery lasts all day. The inbuilt tank holds 1.9ml of ejuice, and it is quite easy to fill. This Kanger Mini is one of the few tanks that is hollow and wide that you do not need a drip trip to fill your ejuice. As long as you cap it tightly, it will not leak. That goes for placing it in any position. I have had vapes that leak when placed on their side, but this one retains the ejuice. Refilling is bliss. As I noted before, the tank is quite hollow, and you hardly need the drip. The capacity is strictly 1.9ml, and you have the little line there showing you how far you should fill. I haven’t tried going over the limit, but I think it would leave a mess. As usual, first-time use demands that you soak the coil for 10 minutes or so before vaping it to avoid burning it. Fill the tank then leave the cotton in the coil to soak. Since it is the first time, it is recommended that you prime it by dripping a drop of the ejuice on each of the ejuice slots. This allows it to soak the coil even better and you only need to prime it this once. First, the mini lights just like any other vape. Five hits on the button to turn it on and five to switch it off. LED lights up to tell you the status of your battery. Five lights on are same as five bars for ‘fully charged’ and as the bars go down, you have your warning to recharge it. It has a symmetrical airflow design, and you get to decide how much air you let in. The device has a stopper on the airflow to guide your opening and closing. When you close the airflow all the way at the front, a small peephole is left open on the back side. It is tiny and restrictive, but it is excellent for those who want a direct lung hit. For more airflow, open it to the capacity you want. The USB port is on the side, meaning you can charge your Togo mini and vape at the same time. It takes an hour to charge fully and its keeps for the whole day depending on your activity. Now, on to the most important part. This small device works excellently. Being small and targeted for beginners, I did not expect much and boy was I wrong! I tested it out with high VG e-liquid, and it sure brought out the taste with dense rich clouds. Vapor production: it will not exactly produce huge clouds like a 200W mod, but it gives you decent vapor. 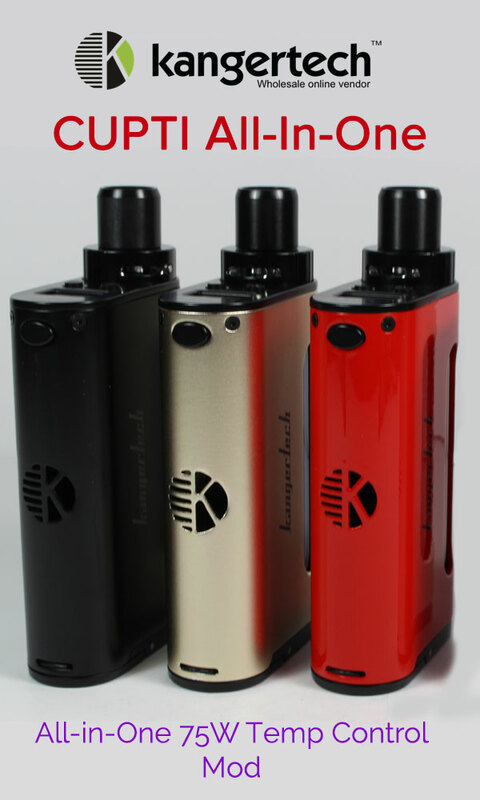 Flavors: Here, the Kangertech TOGO Mini is a winner. Flavors are excellent, and the air restriction is excellent in letting me getting mouth-to-lung. Overall, I would give the TOGO Mini 2.0 an 8/10 for its good build, performance that blows out of your mind, and portability. Happy vaping and remember to hydrate.